welovedesign, etc | the graphic design course blog for HND Visual Communication at Edinburgh College welovedesign, etc. : Our YCN winners! 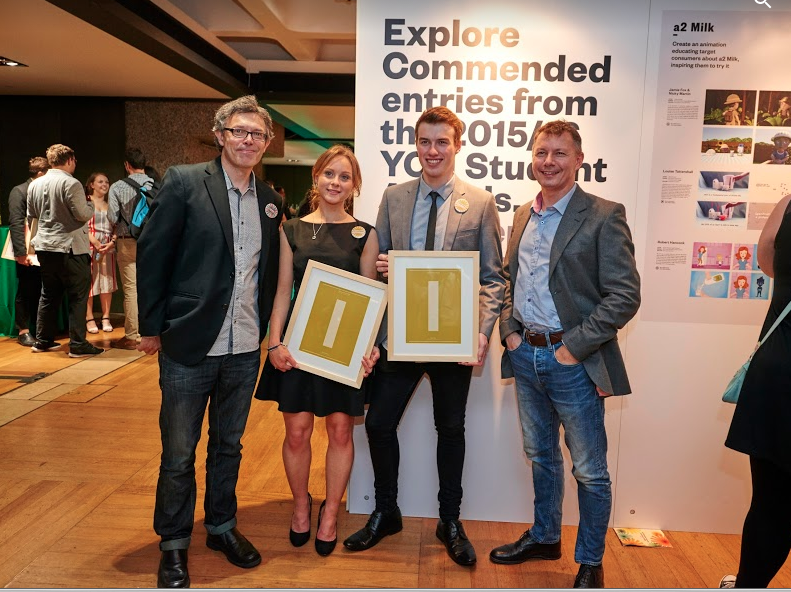 Our YCN Winners Catriona Munro and Liam Philp attended the YCN Awards at the Barbican in London with tutors Chris Hughes and Alex Gunn. The students were commended for their response to the Orchard Pig brief. This year YCN saw the biggest amount of entries in its 15 year history, with Art Schools, Colleges and Universities from all over the world submitting competition work. 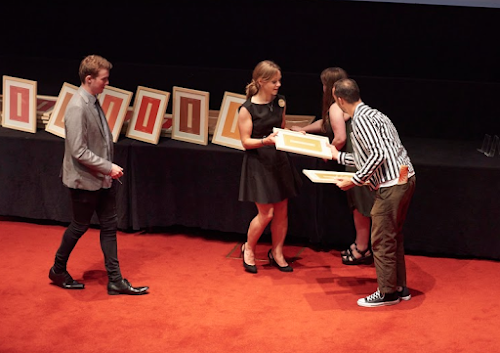 This is the 13th and 14th YCN Awards our students have won since 2008. Catriona and Liam are just entering their final year of study on our Visual Communication / Graphic Design course and have a very bright future. Well done guys! More photos of the evening here on the YCN website.